Inge Dahl and Pedal to the Metal! It is the color, the color and the color again, that carries the lead in Inge Dahl's images, although of course also take into account the importance of composition. ... Now she has recently again been in the East. And it may be that extra hot powder has come into the paint bucket. She juggles with the totally saturated red colors as if they were on the verge of bursting of fullness. Lively, energetic and reckless. The painter from Aarhus keeps the pedal to the metal. .... Inge Dahl is the type who draws inspiration from everything the eye sees. In Frederiksberg one can see an outdoor photography exhibition that evokes the thought and brings poetry into the passerby’s busy schedules. Thought provoking, precisely because there are so many single images to explore - and thus should the picture poem (55 x 1.9 m) have the opportunity to reach a wide audience- or as the artists themselves express it: "... create a lyrical debate across age, gender, culture and philosophy." 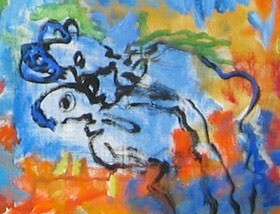 ... paintings filled with bright colors and movements. 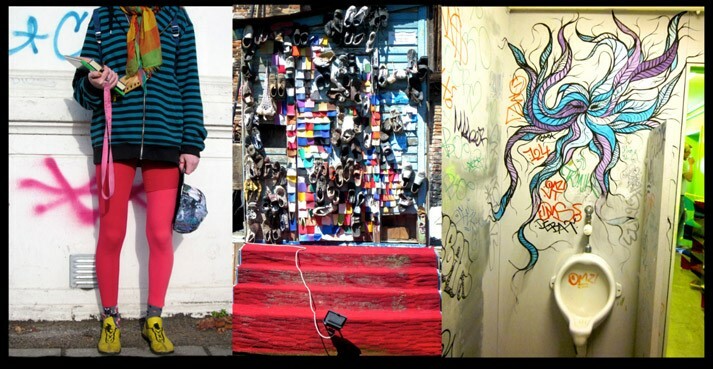 Dominated by pastel colors applied with rapid expressive strokes she is seen to capture glimpses of everyday diversity. Even the wine glasses on the table's surface seemed to have tasted the strength of the storm and the turmoil. 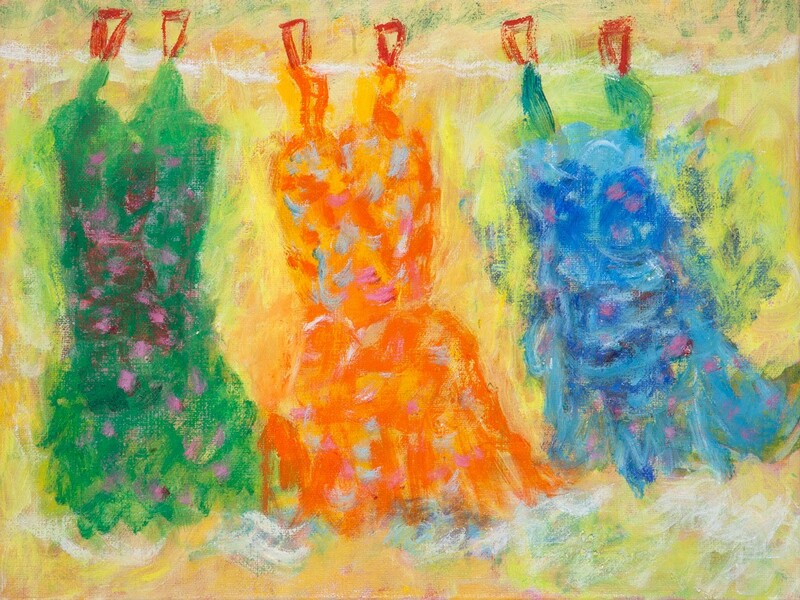 … Generously, she lavishes colour and energy on her canvasses. To enter the gallery is to encounter an explosion of colour. Paintings blaze from the white walls, at once insinuating and overwhelmingly bombastic. For in her paintings there is always a tremendous tussle going on. 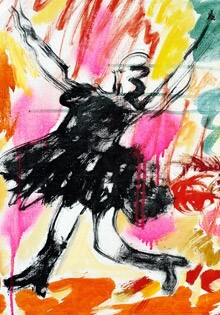 Your heart leaps up on meeting her paintings supercharged with energy and vitality. 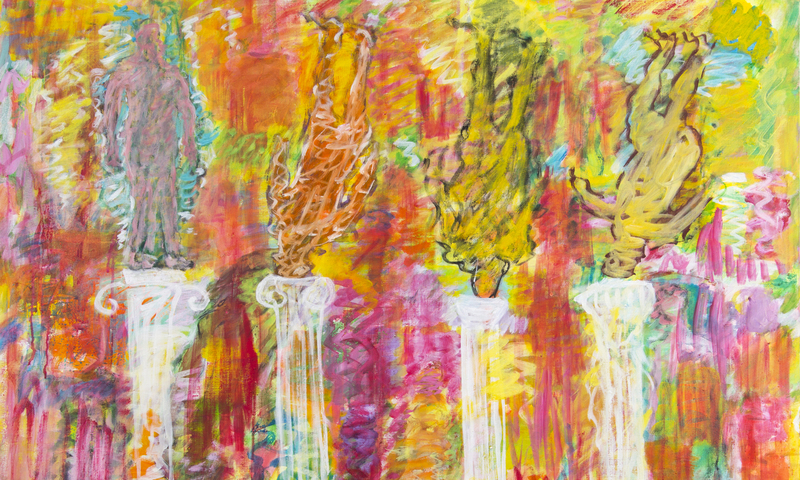 Colouristic fun and vivacious messages of joi de vivre - Inge Dahl persuades even the weary at heart that life is worth living when she opens the doors of Gallery Ægidius, Randers on March 20 where her latest solo exhibition is on show. The artist's paintings light up the walls. … Inge Dahl is a fiery soul. …Movement is her medium, a continuum extending from the gentlest breeze to a raging typhoon. Storms erupt across her paintings, an expression of life itself. They stream through the artist’s frame into the fine nerve fibres of her brush, leaving tracks across her canvases. … Tossed like a light buoy on a troubled ocean, our understanding comes and goes; motifs of colour and musicality bring us from the deep “everything-and-nothing” until we find ourselves in shallow and navigable waters, where gradually things begin to make sense. A gown as wide as the firmament, festive as a carnival in Rio, protective like Madonna Misericordia, fashionable as a model on a catwalk. (…)Inge Dahl is a master. Der skal ikke herske tvivl om, at verden ville blive betydelig sjovere at være i, hvis billedkunstneren Inge Dahl alene skulle svinge penslerne. Hendes billeder sprudler af livskraft, energier og en evigt smittende livsglæde… Derfor er hendes Fandango-serie ikke bare en samling dansebilleder, i øvrigt særdeles frækt og effektfuldt beskåret. Lisbeth Stryhn. Randers Amtsavis, 2006. The promoter of this merry message is the Danish artist Inge Dahl w ho paints with a southern temperament and spirits… Characterised by its whimsy and wit, and often with its focal point in the meeting between everyday life and poetry, “Good legs”, swinging skirts and outlandish shoes… but the colours and the wit are part and parcel of the more serious and subtly disquieting tendencies which are also found in her paintings- “there’s more than meets the eye”. Jens Arvid Spærhage Hansen. 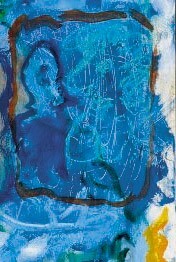 Jyllands-Postens Kunstforening, 2006. Miss Dahl’s paintings exude temperament and voluptuous sensuality, delight in colour and an engaging expressiveness. What makes her humour so captivating is her oblique approach to her great variety of motifs. Perhaps it is the combination of raw talent and rich experience from her many travels that make her paintings so endlessly fascinating. Lisbeth Stryhn, Randers Amtsavis, 2004. Marianne Koch. Fyns Stiftstidende, 2003. Inge Dahl has her own unique, artistic personality: Feminine, energetic firmaments – bristling with humour and power - simultaneously threatening and attractive. Whether she’s using paint or gouache on canvas, paper or glass, Inge Dahl combines intensity, struggle, vitality and triumph in her expression. Peter Michael Hornung. Politiken, 2001. Deep down it is all about courage. The courage to be yourself, to dare to be really you, to embrace the Lucifer in yourself. And the observer thrills as she acknowledges this inner desire in the colours and the surfaces and is fascinated. Ole Nørlyng. Berlingske Tidende, 2001. She makes colour work, generously lavishes it on the canvas… giving the observer one intense experience after another. 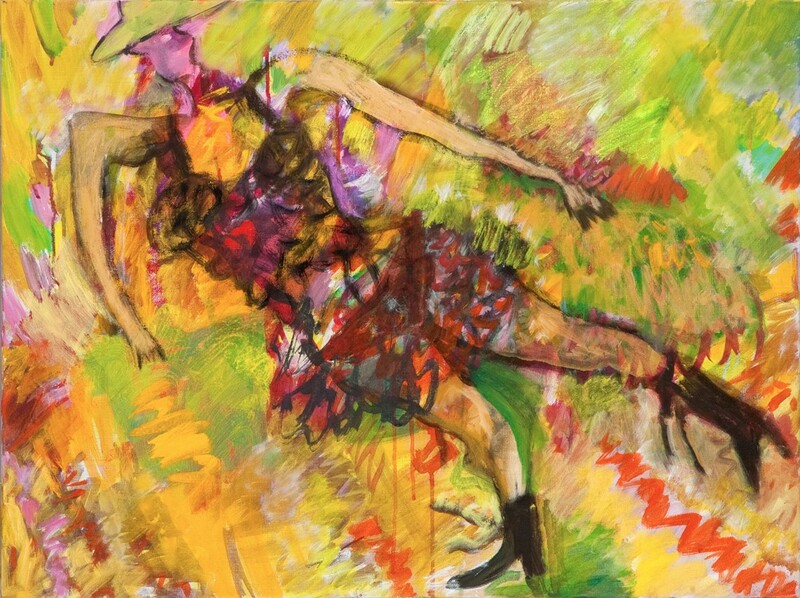 She possesses a secure sense of colour and creates a fine equilibrium in all her paintings. Each painting appears to be spontaneous, fabulating, and executed with generously free strokes of the brush. You can get close and experience the contact with the spirit of the museum by recognising the symbols of a distant past… the paintings on glass are filled with sunshine. Literally speaking, a bridge has been built to the powers of the universe. Note: Rainbow light refers to the big painting on glass at the National Museum, Copenhagen, “Udsigten fra Bifrost” (=The View from Bifrost, the rainbow bridge in Nordic Mythology spanning Midgard and Asgard, earth and heaven). 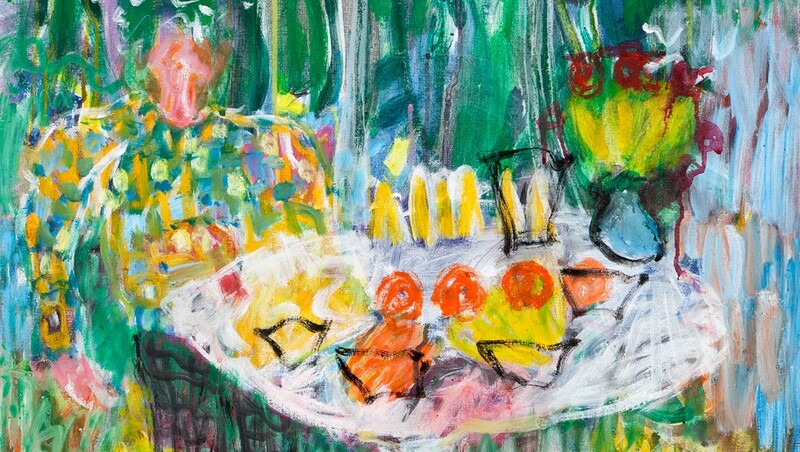 It seems as if these paintings have been thought out in glass… Inge Dahl is a colourist of the more voracious kind. 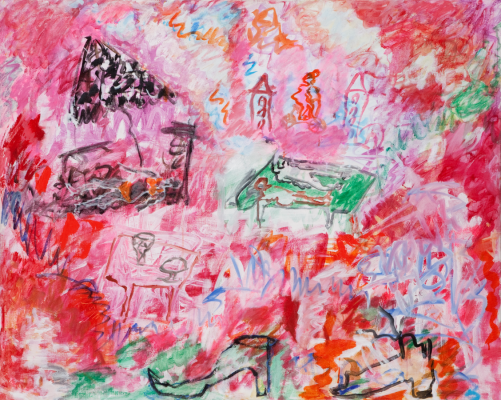 She exists in the fruitful territory between pure abstraction and the reality that she experiences… a gouache such as “The Viking Ship” clearly shows us that she has originality and potential. Galleri Trap’s latest find, Inge Dahl from Jutland, was promising at her debut in the capital where she revealed her mastery of colour and form… In some paintings she was feeling her way, cultivating her poetic side, in others she was governed by spontaneity, erupting in something wild or even savage, resembling black written characters, hatchings, etc, all functioning with terrific originality. Here was raw talent and potential. 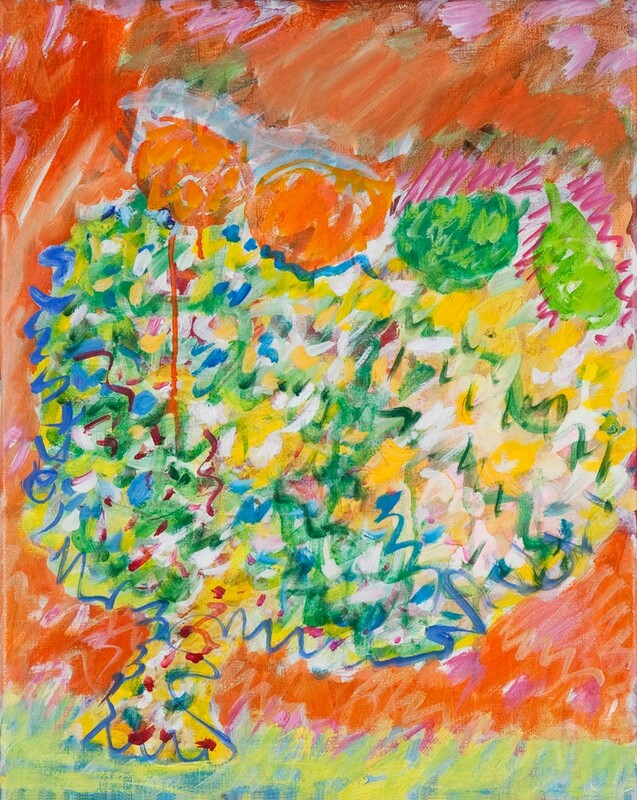 A debutante from Aarhus, Inge Dahl, a graduate of the Art Academy of Jutland, is a lyrical abstract expressionist … Her paintings, created in textural layer upon layer, a restless inter play of lines, are remarkable for their great variation in the exploitation of colour. Dahl’s canvasses express the artist’s feeling for nature, inner nature rather than that which surrounds us.